Craddick's announcement means that every non-judicial statewide official in Texas — all of them Republicans — has plans to seek re-election next year. 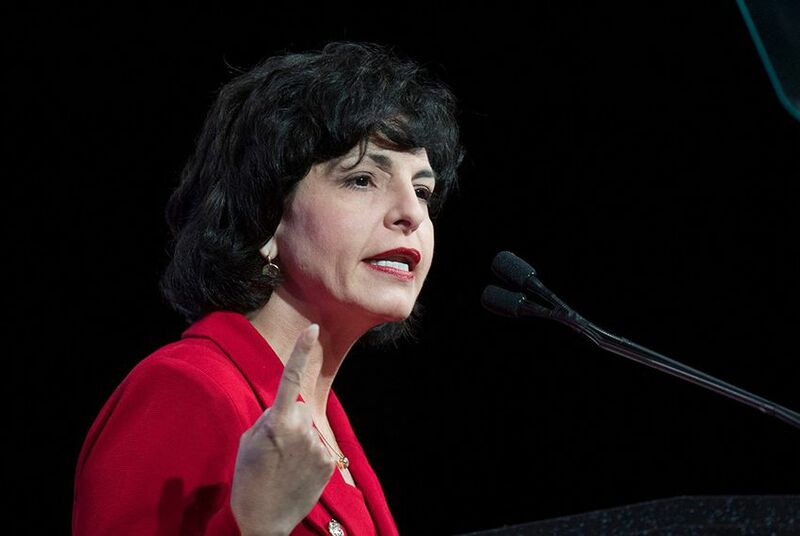 Christi Craddick, the chairman of the Texas Railroad Commission, is running for re-election in 2018. "During my first term at the Railroad Commission, I oversaw a modernization of the agency and provided common sense regulatory oversight of a robust energy industry while carefully balancing our state’s economic and environmental concerns,” Craddick said in a news release. "I am respectfully asking the voters of Texas to re-elect me to a second term." Craddick's announcement means that every non-judicial statewide official in Texas — all of them Republicans — has plans to seek re-election next year. Until Tuesday, Craddick had not revealed whether she intended to run again. Craddick currently appears to have a clear path to the Republican nomination in 2018. In the general election, Craddick is set to face Democrat Roman McAllen, the historic preservation officer for the city of Denton. First elected in 2012, Craddick is the only member of the three-person commission that is up for re-election next year. The members serve staggered six-year terms on the panel, which is responsible for overseeing Texas' oil and gas industry. Texas Promised to Track Oilfield Waste in Aquifers. It Didn't.